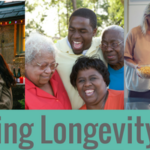 I am excited to be sharing insights from our latest research project, Hacking Longevity, with members of CALA on June 6th, 2018 in Sacramento. We’ll be discussing generational differences that make communication across three generations of older adults trickier, plus looking at Generation X as the new generation of family caregivers. raise to a more important or impressive level. We look forward to helping Senior Living professionals find new ways to elevate and shape the care and services they provide while enhancing residents’ quality of life through greater understanding. 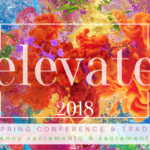 To learn more, or to attend CALA’s Elevate Spring Conference and Trade Show, click here. To learn more about Hacking Longevity, click here. Hacking Longevity is the first study to examine how three generations of adults over the age of 50 – Generation X, Baby Boomers, and Silent Generation – are thinking about and planning for longer lives. Until now, the idea of increased longevity has been mostly conceptual and aspirational. Through a rigorous research process, Hacking Longevity examination, provides insights on how brands and organizations can better serve consumers of the longevity economy. The study was conducted in the Fall of 2017 and Winter of 2018 and led by Lori Bitter at The Business of Aging. The study debuted at AARP’s Living 100 event in Washington DC in April. This timeline illustrates key inflection points in people’s lives as they age, as revealed in the data. To learn more about Hacking Longevity, join us in June at The Silicon Valley Boomer Venture Summit where we will provide a briefing for attendees. Hacking Longevity was conducted in partnership with Collaborata, and underwritten by AARP, Wells Fargo Advisors, GreatCall, and Proctor and Gamble Ventures.